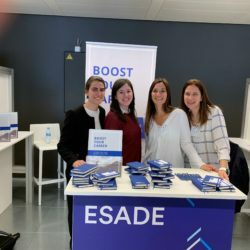 Last week, Alfa Consulting attended the ESADE Spring Recruitment Fair at their Sant Cugat campus. 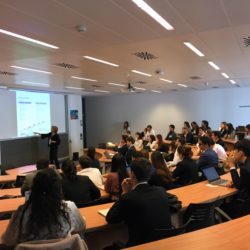 The fair, held on March 27st, brought together hundreds of students from the BBA, Double degree in Business Administration and Law, MSc Programmes in Management and CEMS. 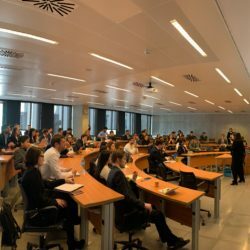 Carmen Pérez, HR Director, Anxiang Yin, Consultant, and Anna Vilatarsana, Manager, were in charge of presenting our company to the students. 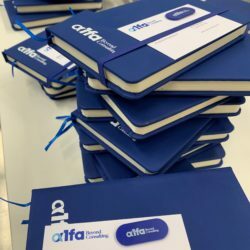 In the corporate presentation, our team talked about our international presence, how we work at Alfa and the kind of projects we conduct. We also talked about our selection process and how to apply to be part of the team. After the presentation, the actual fair took place. We had a stand in the hall to inform the attendees about our career paths, training programs, open positions or just to answer any questions the students might have. Our company has had presence in this event for many years, being a unique opportunity to meet the future leaders. 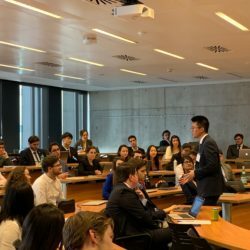 This activity is the perfect opportunity to raise awareness of our company among the ESADE students as well as recruiting the best talent for Alfa. We are committed to attracting the best talent and developing our team’s professional potential. Do you want to join us? Check out our currently open positions or download our Career brochure.